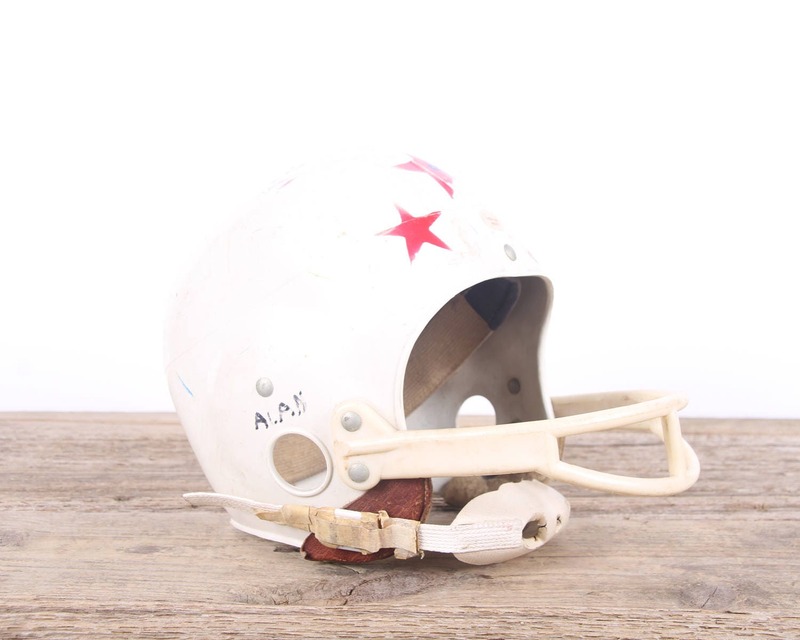 This is a vintage youth football helmet from the 50's/60's! 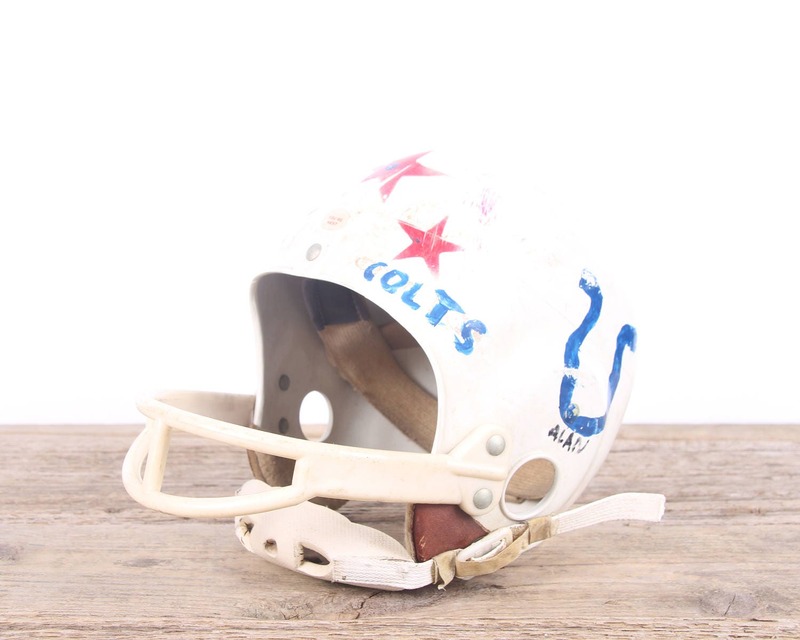 The helmet was made to look like a Colts helmet and was obviously loved by a young Colts fan! 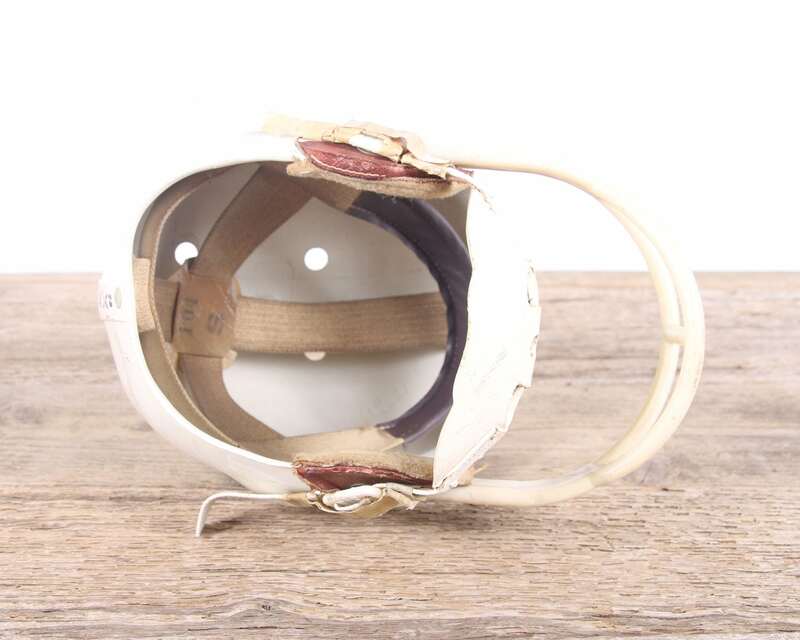 The helmet has a great look and will be awesome displayed. Contact us with any questions. 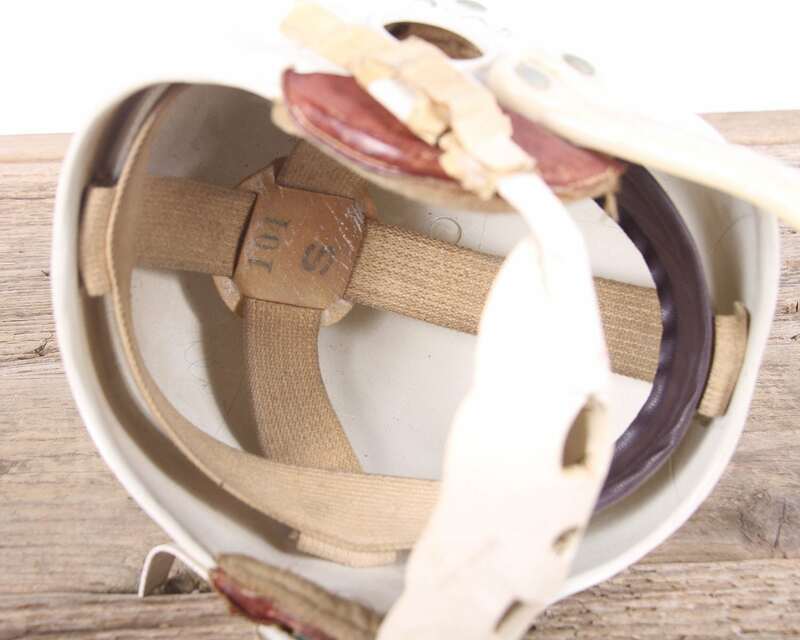 CONDITION: The helmet has scratches and marks, but it is in solid condition. 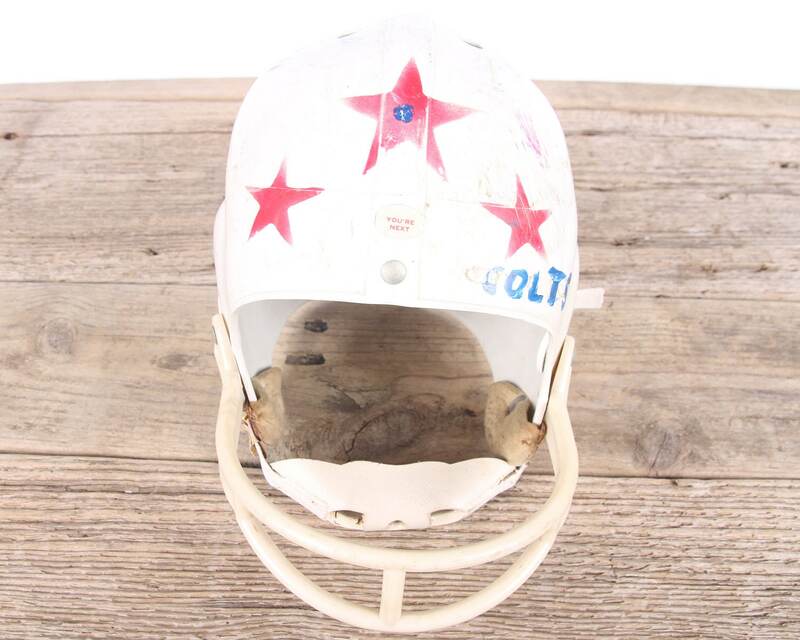 SIZE: It measures roughly 8" tall x 11" long x 7.5" wide.